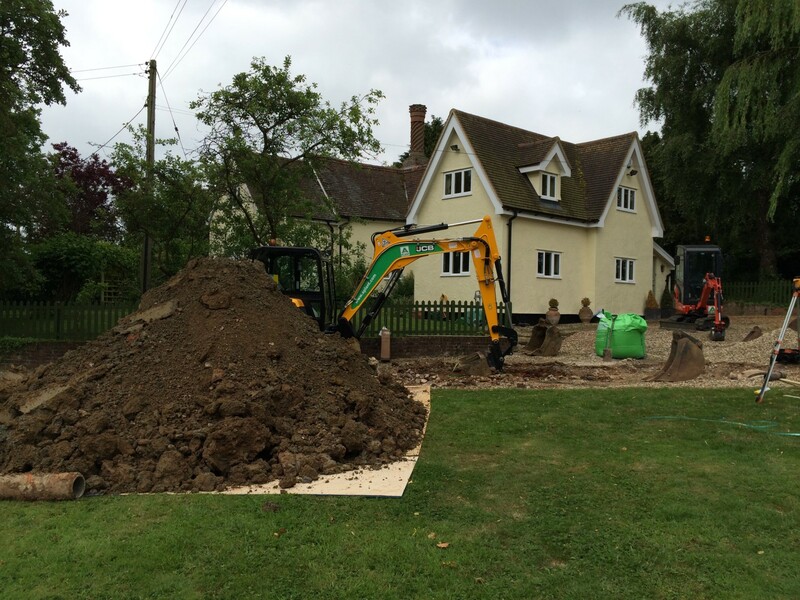 We were approached by the owner of a property on the outskirts of Colchester regarding problems they were having with root ingress within the septic tank serving their property. 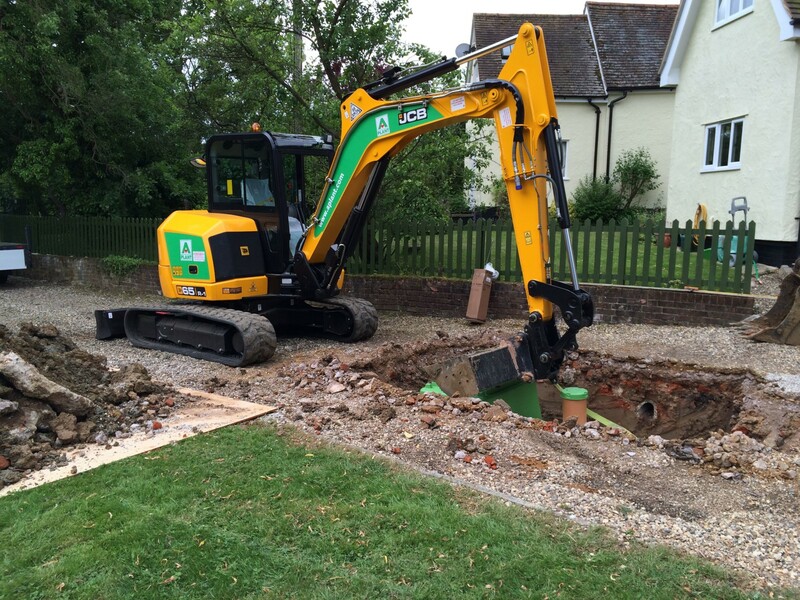 After an initial telephone consultation it was arranged for a Mantair engineer to visit the property and carry-out an inspection of the septic tank with the tank being emptied for the inspection. Maintair are experts in problems with septic tanks, and from the tank inspection, it was immediately evident that the existing septic tank was in the form of a single ‘concrete ring’ chamber, with mass root ingress between the joints of the concrete rings. 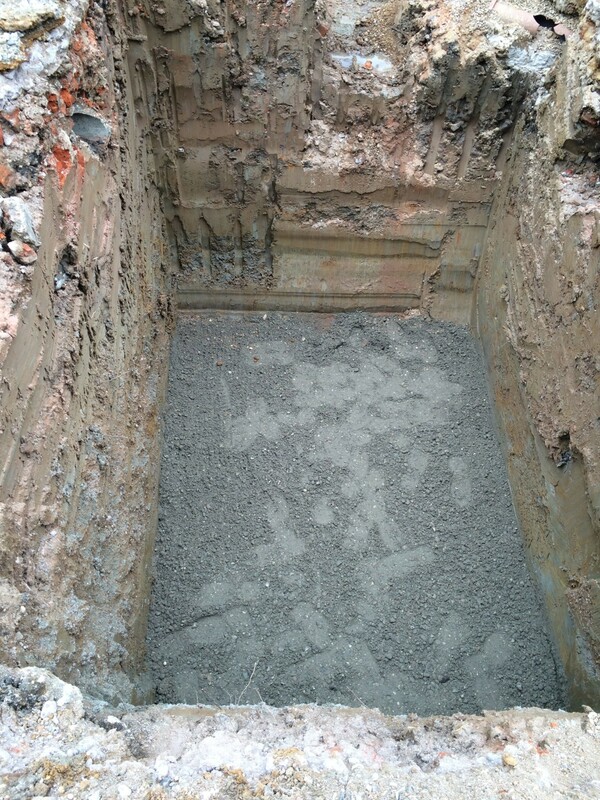 The root ingress was allowing surface water to enter the tank and had impaired the structural integrity of the tank. 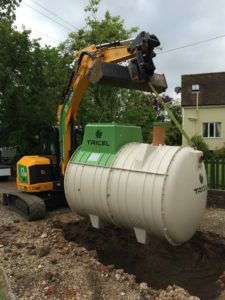 As leading experts in septic tank repairs, Mantair engineers have a wealth of knowledge on whether a tank can be repaired. Unfortunately, in this instance the tank was beyond repair and required replacement. However, the damage to the septic tank was identified by the Mantair engineer as an ‘insurable peril’, and as a result of this, it was recommended that an Insurance Claim should be issued to the Buildings Insurer in relation to the damaged septic tank. A report on our findings was issued to the Buildings Insurer detailing the damage which had been identified. After a site meeting and various communications with the Loss Adjuster acting on behalf of the Insurer, it was agreed that the Insurance Claim should be covered by the Insurer. Due to the site restrictions, the Loss Adjuster agreed to the proposed replacement of the existing septic tank with a new sewage treatment plant and associated drainage works. The sewage treatment plant was based on the number of bedrooms the property had + two; this being in accordance with the British Water ‘Flows and Loads’ Code of Practice. 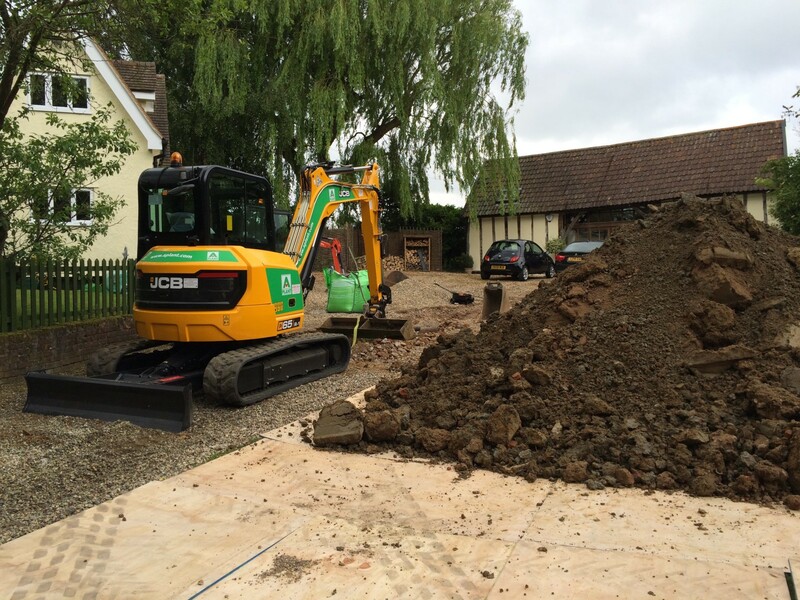 The chosen sewage treatment plant was also based on the system being installed within the properties driveway. 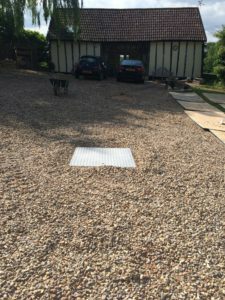 The installation of the new sewage treatment plant was completed within a single week with there being no alterations to the garden setting, apart from a new manhole cover within the driveway. Many property owners are unaware that the costs to repair or replace a damaged drainage system can be covered by their existing buildings insurance policies. 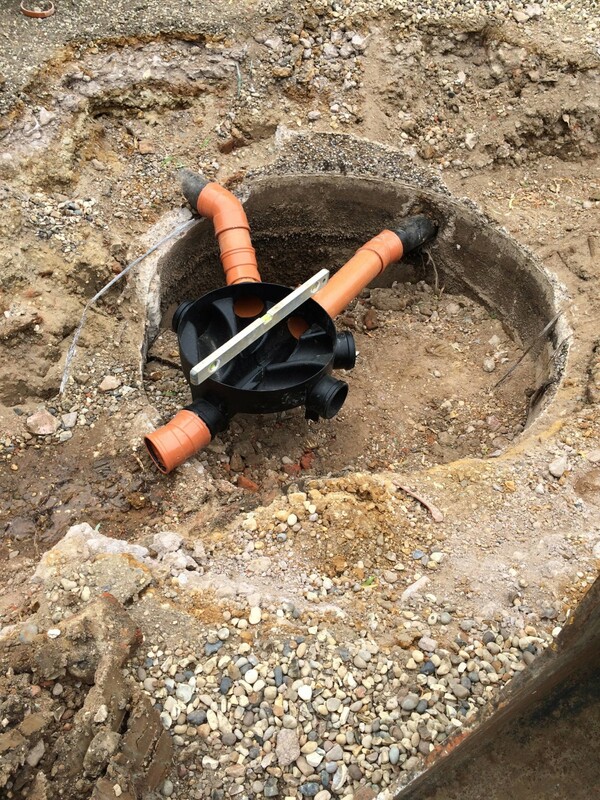 For those who are aware, the thought of dealing with insurers and loss adjusters on the technical ‘ins and outs’ of a drainage system can be quite a daunting prospect. 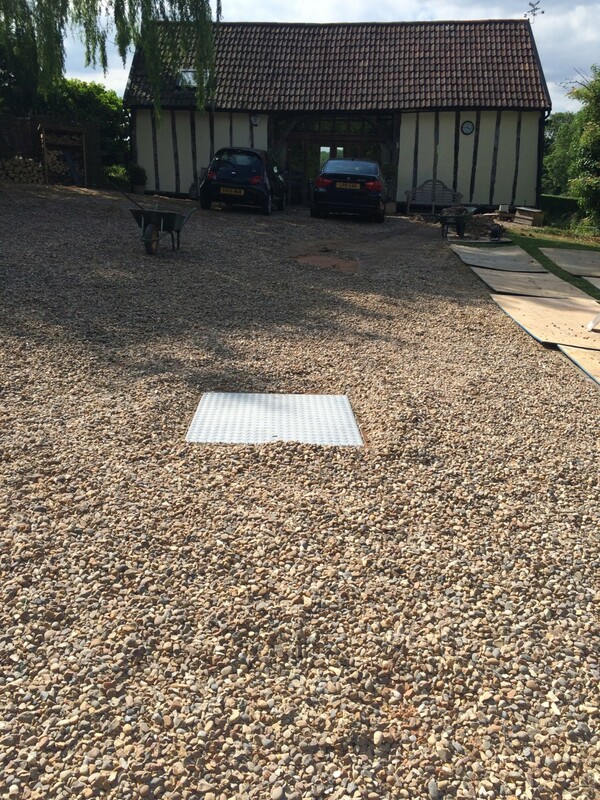 Providing free site assessments on failing septic tanks, we are able to identify if the cause of a tank failure is due to an insurable peril, and if required, act on the clients behalf in issuing a claim to the insurance provider. 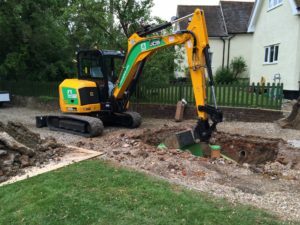 Mantair has been solving septic tank problems in Essex and East Anglia for over two decades and continues to be the market leader in septic tank upgrades and conversions. 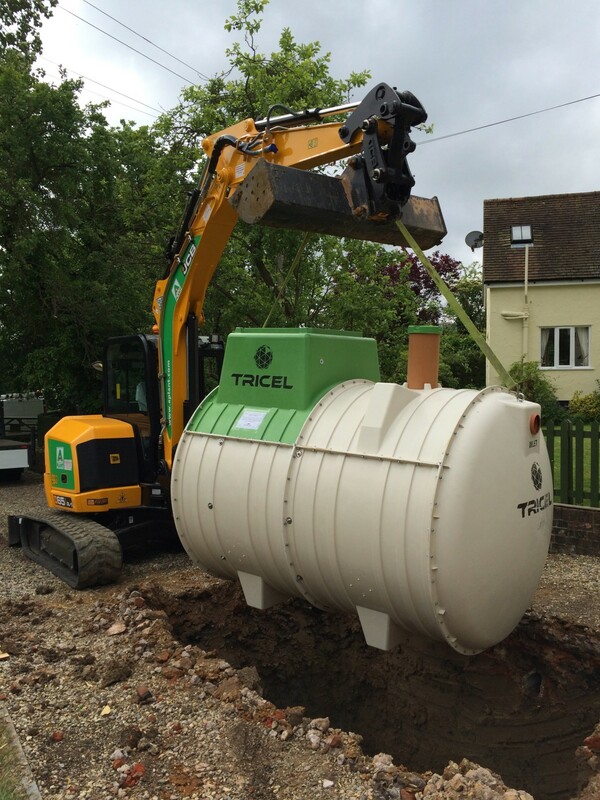 If you require assistance with a septic tank problem or have a requirement for a new sewage treatment plant, call our team today to receive a free site visit on 01255 853890.